Guildhouse invests in and is reponsible for managing a range of commercial properties. Managing 14,000 sq ft of offices in Central London and providing shared reception services. 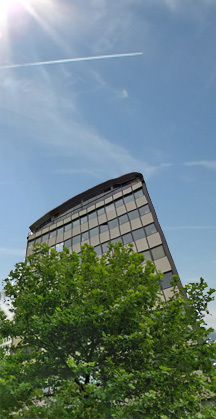 Managing 25,000 sq ft of office buildings with a mixed range of tenants. Including 16,000 sq ft mixed commercial space under residential flats. Managing lettings and taking the full letting risk on key worker flats for over 200 tenants. We manage and let 4,800 sq ft of office accommodation specifically suited to Not-for-Profit organisations. We have invested in 30,000 sq ft of hotel accommodation, 10,000 sq ft of conference and functions suites. Including Restaurants, cafés and bars extending to approximately 4,800 sqft. Please note: The mobile version of this site includes reduced functionality and information. Use the button in the header to access the menu. You may also wish to visit again via your tablet or PC to enjoy these additional features.